The Board of the AMMRF is pleased to announce that Prof. Julie Cairney will take up the role of Executive Director & Chief Executive Officer of the AMMRF. 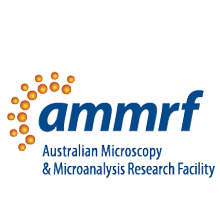 Prof. Cairney is currently the Director of the Australian Centre for Microscopy & Microanalysis at the University of Sydney, the lead node of the AMMRF. 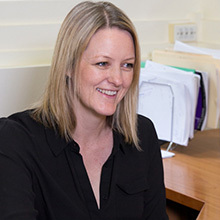 She has been involved with NCRIS since its inception, initially in the development of the Characterisation Investment Plan, then as Deputy Director and most recently as Node Director of the AMMRF’s Sydney node. She is an internationally recognised researcher with considerable expertise in the application of advanced microscopy and data analysis to materials science. 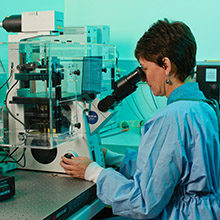 She has an interest in technique and instrument development to advance the power of microscopy to solving global challenges. 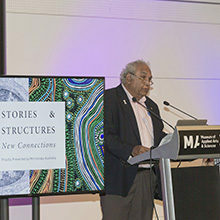 In making the announcement AMMRF Chairman, Dr Greg Smith acknowledged Prof. Cairney’s experience and her vision for the future of Australia’s collaborative microscopy infrastructure. “Julie recognises the power of a collaborative framework for open-access research infrastructure. We know that she will build upon AMMRF’s success and shape its future development. Her extensive knowledge and experience, combined with a clear vision for the future of our facility puts us in a strong position as we prepare for the prospect of renewed investment. The board is strongly supportive of Julie’s appointment.�? Prof. Cairney said of her appointment, “I am delighted to take on this important role and to have the opportunity to shape and steer the AMMRF towards a strong future. I am grateful to the Board for their support and confidence.�?